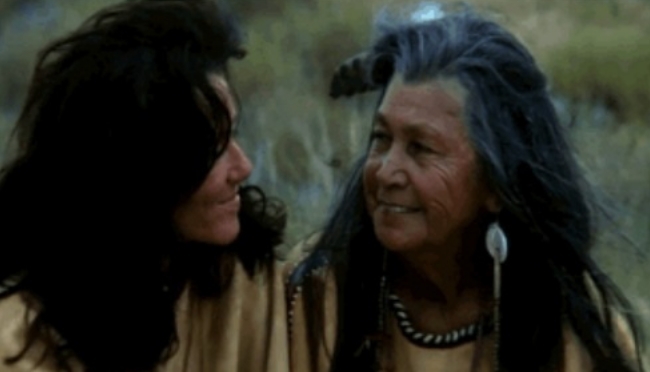 White Wolf : Kevin Costner Said the Words but This Lakota Woman Made the Dances Dialogue Truly "Lakota"
Kevin Costner Said the Words but This Lakota Woman Made the Dances Dialogue Truly "Lakota"
The important role Leader Charge played in making the movie, Dances with Wolves” an Academy Award winning film. When actor-director Kevin Costner and producer Jim Wilson came to South Dakota early last year to film Dances with Wolves, their biggest problem wasn't finding the 3,500 buffalo, two wolves, 100 horses, 36 tepees and 175 Native American extras needed to give the film an authentic look. It was how to re-create an all but lost language—the Lakota dialect spoken by Sioux tribes in the 1860s, when the movie takes place. "Of all the extras, not one of them was a fluent Lakota speaker," says Wilson. "Then someone recommended Doris Leader Charge." A 60-year-old teacher at South Dakota's Sinte Gleska College, Leader Charge might have seemed an unlikely choice to some. For one thing, she was no great movie fan (her small home on the Rosebud Reservation is 50 miles from the nearest theater). For another, "I was really surprised when a movie producer called and asked me to translate a script because I really didn't know what a script was," she says. "I had never seen one." 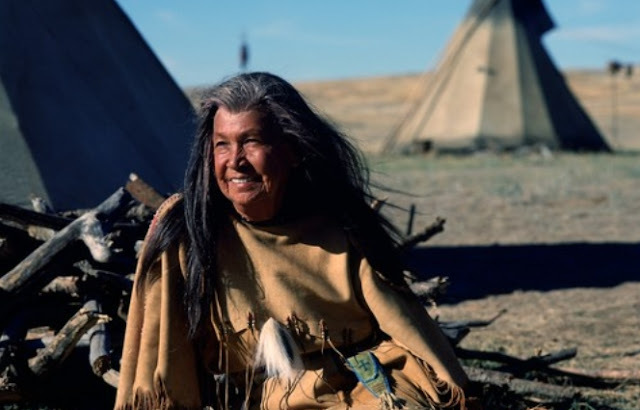 Leader Charge, however, was one of only a few thousand Sioux still fluent in Lakota, and she taught both the language and Lakota culture at the community college on the reservation. Wilson sent her the script, and three weeks later she returned it, fully translated. Then she and a cousin recited each actor's lines on tape, first in English, then in Lakota, for Wilson to mail to the cast members. When the actors began rehearsals last May outside Rapid City, S.D., Wilson asked Leader Charge to be on hand as a dialogue coach. Quickly, he says, "We realized we needed her on the set 90 percent of the time. If any of the extras were late or hadn't studied their parts, she scolded them. And because she was an elder, a lot of the younger Indians looked up to her. She smoothed things out a lot." 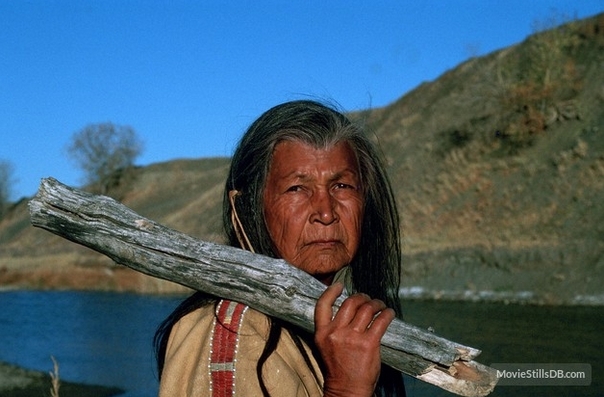 Impressed by her commanding presence, Kevin Costner and casting director Elisabeth Leustig decided to offer Leader Charge a speaking part of her own in the film—as Pretty Shield, the wife of Chief Ten Bears. She declined. Wilson then made a pitch, and again she refused, giving no reason. Finally Costner himself "took me for a long walk out on the prairie and asked me if I had been offered the role of Pretty Shield, and if I had turned it down," she remembers. "I said, 'Yes.' He asked why. I told him I was on vacation from the college and my vacation was up. I said, 'Your film will only show for a few months, but I'll need this job long after that.' He then asked if it would be okay if he called the college president to request him to extend my leave." Costner did, and Leader Charge went to work, this time in front of the camera. For the next three weeks she also continued her language tutoring with Costner and his co-star in the film, Mary McDonnell. "Kevin was playing a soldier who comes upon the Indians, so his Lakota didn't have to be perfect," she says. "But Mary McDonnell plays a white woman who had been living with the Sioux, so she had to be fluent. We had a room in a hotel that we used as a classroom, and I made them do their lines over and over until I was scared I was burning them out. I didn't really push Kevin, because he didn't need to be perfect, but he was a fast learner. Between scenes, I'd take them off to the side at lunch and dinner, and some days we worked from 8 A.M. to midnight." For Leader Charge the work was a considerable change from life among the 17,000 Rosebud Sioux, a population that has long contended with high unemployment and few prospects. 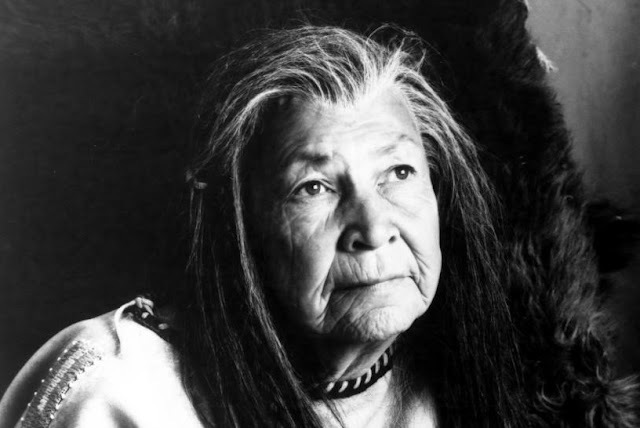 Born and raised on the 7,000-square-mile reservation, the former Doris Whiteface learned Lakota from her grandmother, who spoke no English. At 14, her regular schooling stopped when she quit to begin working to help support her family. By 21, her own marriage of five years ended after her husband died of a heart attack, leaving her with three children and a fourth on the way. Leader Charge found jobs as a waitress, a cook, a nurse's aide and struggled to carry on as a single mother. Married again at 27 to a fellow Sioux, she and second husband Fred Leader Charge moved throughout the Midwest for the next dozen years. On his wife's nurse's aide salary and with help from a private grant, Fred eventually went back to school and landed a job as a counselor at Sinte Gleska College. A few years later, Leader Charge resumed her own long-interrupted studies, got a degree in elementary education and began teaching Lakota there as well. With her movie money, Leader Charge was finally able to pay for repairs, then bought a new refrigerator, a stove, a washer and a dryer. Apart from that windfall, she notes, little has changed. "We have such a struggle down here just to get groceries and make payments," she says. "Mary McDonnell called me at home one day and asked what I was doing. I said I was outside hauling wood. She was surprised." For those around her, though, the tutor turned actress may be having a far greater impact. "The kids here are so proud that I'm their teacher and that I did all these things," says Leader Charge, now back in her classroom again. "I hope this film shows young people on our reservation, where self-esteem is low, that you have to do the best you can and be proud of yourself." Responses to "Kevin Costner Said the Words but This Lakota Woman Made the Dances Dialogue Truly "Lakota""